Sir, I have been playing the sarod since I was in the 5th grade (so 8 years now). 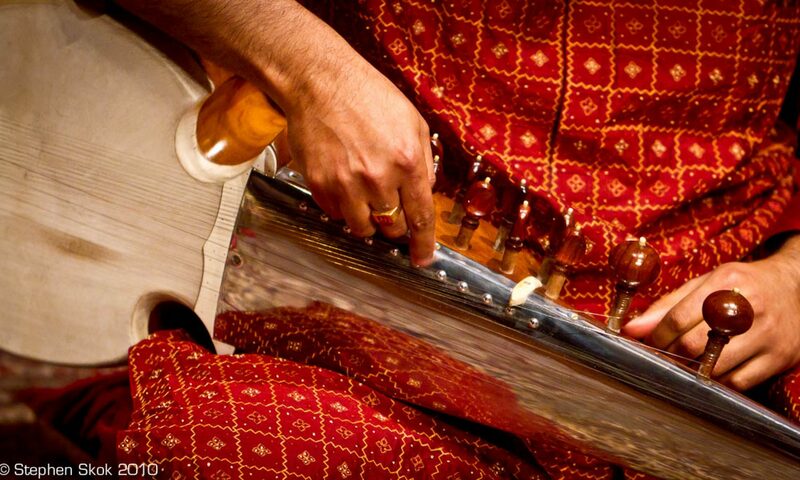 Unfortunately though, my sarod is really worn out, and wasn’t of too high a quality in the first place. It’s really tough to play the higher notes at times, because there’s a pretty large gap between the string and the fretboard (almost a centimeter at the upper octave Sa). So, what would you suggest I should do? I have already gotten the bridge height reduced. My Sarod gives a rather discernible sound when the java strikes, so how should I minimize that? And how can I improve my playing speed, especially in the madhya lay? I mean, I tend to play lots of variations in between the Gat of any taal I play, and am unable to keep pace at times, so how can I improve that? Lastly, I was wondering if you could tell me where you bought your Sarod from, and how much it cost you.